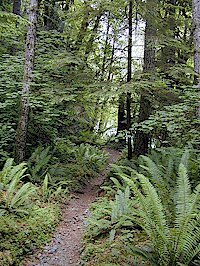 Here you'll find out about the North Olympic Peninsula communities, including activities, accommodations, dining, local events, arts and web cams. This climbing guide is by Olympic Mountain Rescue providing up to date information on routes and conditions plus color photographs, maps, diagrams, links, stories and articles. Quinault Indian Nation. 1214 Aalis, PO Box 189, Taholah, WA 98587. Phone: 360-276-8211; Fax: 360-276-4191. Personal narrative and photos by Mark Sedenquist and Megan Edwards. Describe the people they meet and the interesting things they see around the Peninsula. A collection of photographs from Olympic National Park, mostly the coastal section, with a few from Hurricane Ridge.